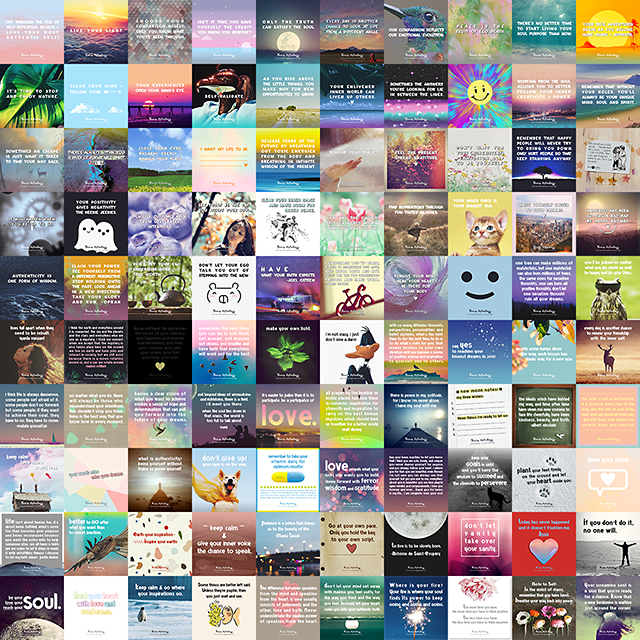 Finally reached my 100th poster / writing post! Not that I was planning to end it at 100, but I thought that if I could make it to at least 100, then I'll know that with strong enough will and commitment, anything can be possible! Looking back, I didn't know how all this will unfold. Although I guess that's what usually happens anyway when we decide to follow an inspiration. All I knew was that I wanted to express my inspirations in a way that is more than writing. So I figured making a poster for each post would help convey even more of what I wanted to express. ✒✒ Turned out, the process hasn't always been easy. There were moments when I couldn't find inspiration. In those moments I try to step back and look for inspirations in new and different places. And the rewarding feeling that comes from knowing that I've tried my best to express myself as well as share some of my inspirations along the way is priceless. I guess it's really true... expressing ourselves through writing can open our mind more to things that we couldn't see before when they were just thoughts in our head. ✒✒ In the end, putting all the posters together was a fascinating process for me, and a little emotional too, because they are filled with different memories. Seeing the pictures, the words, the funny thoughts, and some of the more serious ones. Knowing that they were all part of how I think and feel, and knowing that I have the Moon as my deadline, I feel grateful. Thank you to those who has always been supportive of my work. I'd also like to apologize if I had said or written something that didn't resonate with you. I really didn't mean to. I just like to share inspirations I get from my heart, mind, and well, the Moon. From here on out, let's keep making the world a better place by sharing our experiences and expressing our soul in more fun, empowering and uplifting ways!